A major merger occurred between two auto-making giants in 1998. After months of negotiations and speculation, German Daimler-Benz and American Chrysler finally sealed the deal that would launch the new DaimlerChrysler auto company. At the time of the DaimlerChrysler merger, Daimler-Benz was led by Jurgen Schrempp, and the Chrysler CEO was Bob Eaton. Touted as a groundbreaking “merger of equals,” this collaboration quickly experienced unexpected challenges that proved fatal for the partnership in the end. The enmeshment of European and American cultures in the board room and on the assembly line was an insurmountable test. The original plan for the merged company was for Daimler and Chrysler to continue to operate as separate automakers, each continuing to produce separate and iconic brands. Fundamental differences in the way the two companies operated set the stage for immediate problems. Daimler, with its reputation for conservative designs and top-of-the-line components, parts, and accessories, differed greatly from Chrysler, known for its bold and diverse approach. The executives from each division began butting heads, which had a very negative impact on the DaimlerChrysler merger as a whole. After the merger, DaimlerChrysler announced its aggressive goal of attaining the position of the top automaker in the world. Around this time, Schrempp also backtracked regarding his “merger of equals” promise. Apparently, Daimler’s intent from the beginning was to function with Chrysler as a subsidiary and not a full partner. To achieve Schrempp’s goal of being the best automaker, DaimlerChrysler needed a strong presence in Asia. The acquisition of a 34 percent interest in Mitsubishi Motors Corporation in 2000 was a key strategy toward this goal. Shortly thereafter, DaimlerChrysler increased its Mitsubishi holdings by buying out a portion of Volvo’s shares. Unfortunately, the Chrysler division began faltering in 2000 due to overspending and lagging auto sales. To resolve these issues, Daimler came up with some reorganization tactics that involved drastic cuts to spending in the areas of supplier costs, workforce, and product lines. The DaimlerChrysler Mercedes division launched the SLK Roadster, the E-Class sedan, and the Maybach luxury automobile during the early years of the 21st century, but it also unveiled the M Class, the A Class, and the Vaneo, which were not nearly as well-received. Daimler was also producing Smart cars, introducing both the Roadster and the Roadster Coupe, in 2003. A larger Smart, called the Forfour, was launched in 2004. These cars were not successful, and Daimler discontinued production a couple of years later. Meanwhile, Chrysler was busy developing the Crossfire, which is a roadster that actually contained Mercedes components. Chrysler also launched the Pacifica, which is a minivan-SUV hybrid. A common theme discussed among analysts was the prospect of DaimlerChrysler Mercedes vehicles being produced with the typical Chrysler mass-production methods, which would result in a watering-down of the high-quality Mercedes brand. Even Chrysler models weren’t immune from these concerns. For instance, designers of the Jeep Liberty decided during this time that this model didn’t need many of the rugged features of earlier models. Consequently, designers created the Liberty with lighter-weight underpinnings and an independent front suspension, which is typical of cars and not SUVs. Chrysler executives took a back seat to Daimler’s team. Key managers and team members began leaving Chrysler during the years after the merger, some voluntarily and others not. Bob Eaton retired as co-chairman of DaimlerChrysler in 2000. In 2005, Schrempp stepped down from his position at Daimler, and Dieter Zetsche replaced him. By early 2007, Chrysler was reporting an operating loss in excess of $1 billion, and it published plans to cut 13,000 jobs to restructure. Zetsche began making public comments about dissolving the merger. 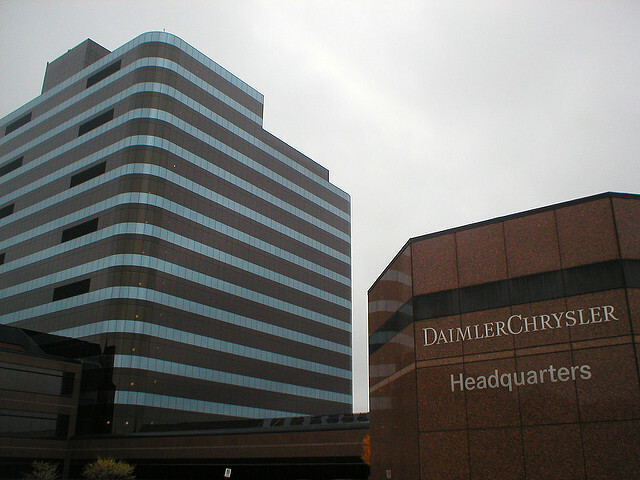 On May 14, 2007, Cerberus Capital Management purchased an 80.1 percent stake in the Chrysler Corporation, effectively discontinuing the merger between Daimler and Chrysler.